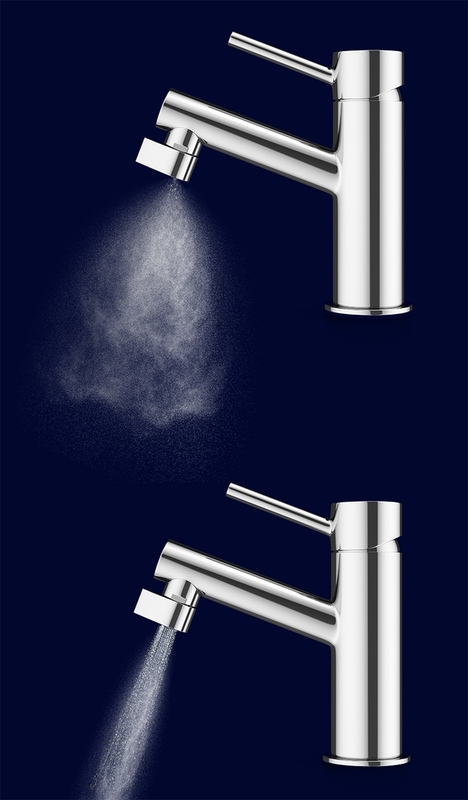 Altered: Nozzle Is A Misting Faucet That Conserves 98% Of Your Water | OhGizmo! By David Ponce on 09/13/16 • Leave a comment! Look, we’re a peoples that likes to waste. But it doesn’t have to be that way and efforts like the Altered: Nozzle are really good ways to move in the right direction. It’s a special faucet that allows you to save up to 98% of the water you would normally use. It does this by turning your regular flow into a fine mist; this should be enough to wash your hands and even rinse off some dishes. If you need a bigger flow for anything, like filling up a glass of water, you simply wise the nozzle and open up the floodgates. Mind you, even at the higher flow rate, you’ll still be saving around 75% of the water you’d normally use. It will be available in three different EU/US standard sizes: Regular, Junior and TomThumb, and allegedly installs in 30 seconds. Currently on Kickstarter, the Atered: Nozzle should be available in December of this year. It’s a kr324 (that’s 324 Swedish Krona, or about $38) pledge.